Acne is an irritating skin disorder and just about everyone experiences acne at some or the other point in their lives. Treating this inflammatory skin disorder is not the end solution because severe acne leaves behind unpleasant scars after healing. Thankfully, there are procedures like Thermage, PRP (platelet rich plasma) and Fractional CO2 laser treatment that have made it possible to erase these unpleasant scars and provide glowing, scar free skin. Although there are other options for acne scar treatment that include skin creams, dermabrasion, dermal fillers and many others, they don’t provide results as impressive as fractional CO2 and thermage. 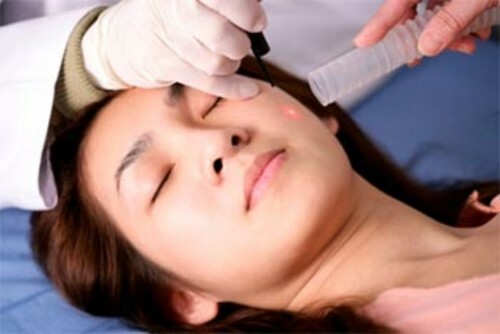 In this therapy, this laser generates microscopic holes in the skin, into the dermis, past the epidermis. These holes stimulate the production of new collagen, which fills the acne scars and thus creates new, smoother and rejuvenated skin. Fractional CO2 is a safe and effective laser treatment that requires little downtime and recovery time. While severe cases of deep acne scars might need more than 1 treatment session to completely eradicate the scars, others only require 1 treatment for effective results. However, it is important to clear up the acne itself, before undergoing treatment for scars. It is best to visit a dermatologist in order to determine whether it is safe to proceed with the procedure. Fractional acne scar treatment can also be used for all skin types. The CO2 laser offers a superior solution for skin rejuvenation and resurfacing. 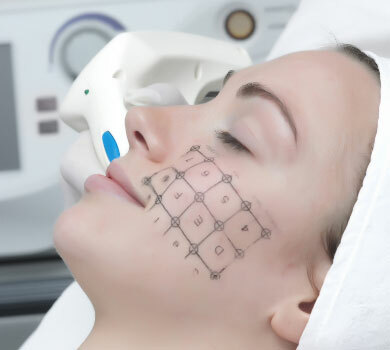 Besides treating acne and acne scars, this laser treatment can also be used to effectively treat wrinkles, fine lines, pigmentation, sun damage, skin discoloration, uneven skin texture, and pre-cancerous and benign lesions. Thermage is a non-invasive procedure that makes use of radiofrequency energy to smooth and tighten the skin, and provide better skin contour. It is approved by the FDA and has clinically proven to be very effective. The radiofrequency energy works on the inner layer of the skin, especially on the area that contains elastin and collagen. These structures are responsible for making the skin smooth and younger. The thermage treatment has also proven effective in treating acne and improving the scarring caused by it. The procedure for acne scar treatment targets the water in the skin, thus heating the skin and stimulating the production of new collagen. It usually takes 2 hours for a session treating, depending upon the extent of scarring. The rejuvenation of collagen and elastin continue to improve over a period of time. For scar removal, there are several factors that you need to consider before deciding on either of these treatments. Some of these factors include the size of the scar, location and the severity of scarring. The cost of acne scar treatment is a little high, but the results that these procedures offer make it worth the money spent. So, if you are looking to regain flawless and glowing skin, locate a clinic and fix up an appointment with the doctor to determine which treatment is best for you.